NOTICE TO CONSUMER: We advise to buy Labo Products only from Authorized Distributors. 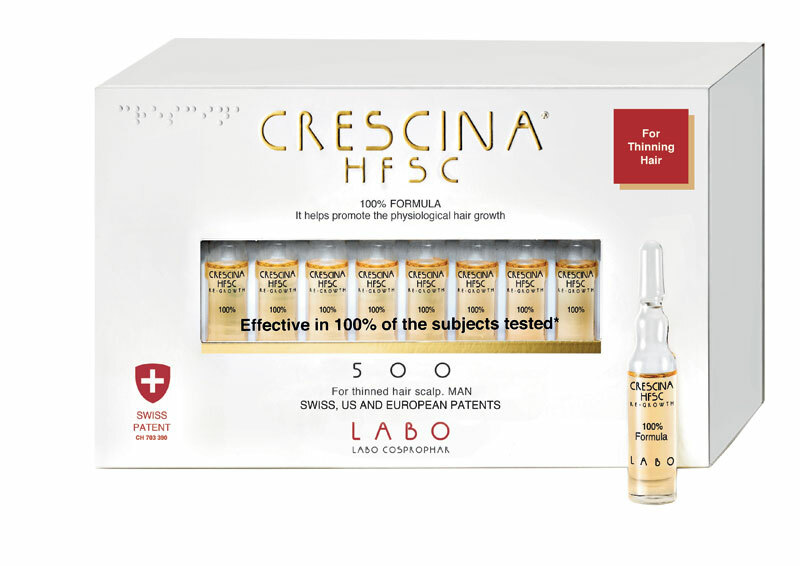 Crescina is the result of a research that began in 1991, the year when a first nucleus, consisting in two amino acids and a glycoprotein, was inserted into a Labo anti-hair loss product. 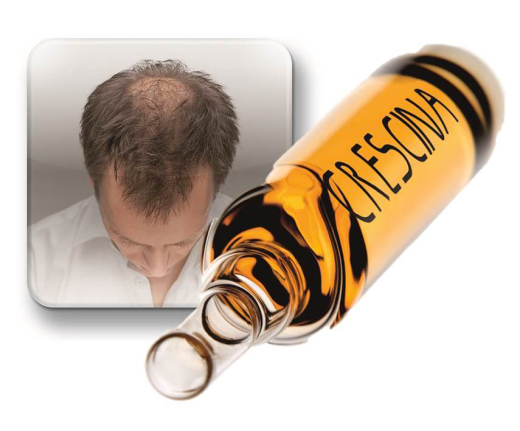 In 1998, following to in-depth studies, Crescina Re-Growth became an independent product, protected by several patents, defined as a “PREPARATION IN VIALS FOR TOPICAL COSMETIC USE THAT REACTIVATES THE PHYSIOLOGICAL HAIR GROWTH IN AREAS AFFECTED BY THINNING, ACTING ON PARTIALLY ATROPHIED HAIR FOLLICLES”. Crescina Re-Growth is not just another anti-hair loss product, which usually focuses on slowing down or counteracting the detachment of a hair from the scalp, but it has been designed to help prevent and treat hair thinning dependent on physiological (not pathological) causes, and when the quantity and quality of hair gradually decreases due to disrupted hair follicle activity. Several efficacy tests indicate the ability of this association to stimulate the natural hair growth by acting on hair bulbs that are still active or partially inactive. 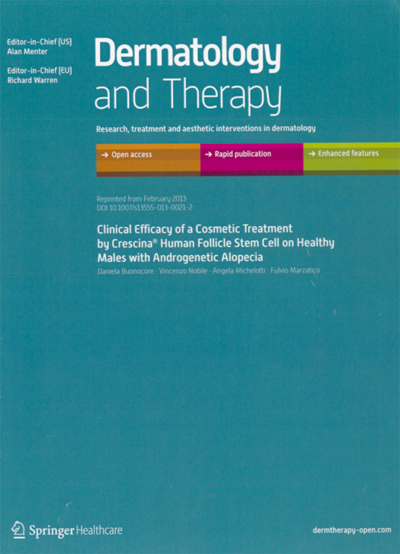 (*) The last study has been published by Springer Healthcare in its magazine “Dermatology and Therapy”, which reports the results after 4 months of in vivo clinical/instrumental double-blind testing, randomized and controlled with a placebo on 46 male subjects (23 treated with Crescina HFSC product and 23 with the placebo): the subjects were experiencing grades II, III, III vertex and IV of thinning, according to Hamilton-Norwood scale. All of them recorded positive results from a minimum of +7 to a maximum of +41 new hairs growing in an area subject to electronic count of 1.8 cm². The results of the test are statistically significant. Today Crescina Re-Growth is used by thousands of satisfied consumers. This is testified by interviews with 7.300 users, 85% of which declared to be satisfied with the regrowth results that they obtained. 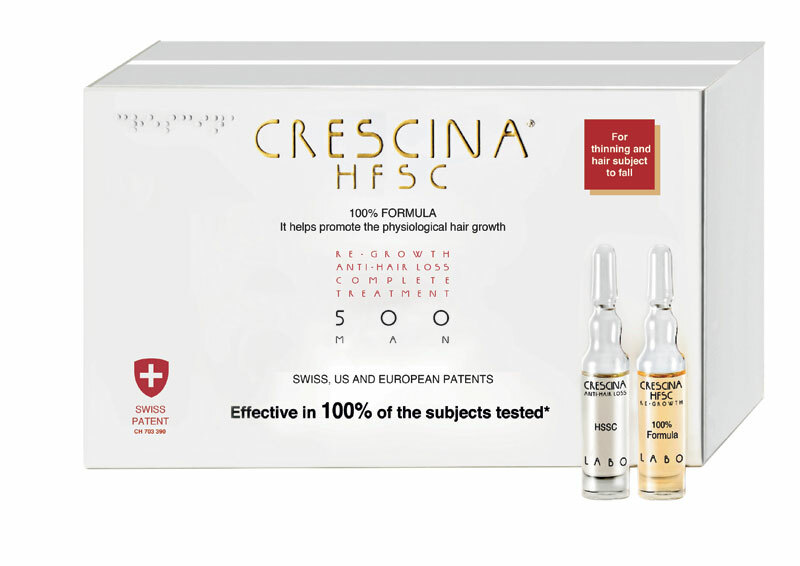 Crescina HFSC 100% is a cosmetic treatment for topical use available in the Re-Growth formulation only and in a Complete Treatment, combining Anti-Hair Loss and Re-Growth vials in a single box. Each vial contains 3.5 ml of the preparation and should be used every day for 5 consecutive days followed by a break of two days. Each box containing 20 vials is meant for a 1-month treatment (that can be repeated several times a year). A minimum treatment of 2 months is recommended. Boxes of 10 and 20 vials are available.